One great aspect of the Durham Ranch team is that it is very versatile in experience and know-how, with each member pitching in where and whenever needed. All the staff has extensive education and training in either Holistic Management or Ranching For Profit, or both. John Flocchini grew up sweeping floors and packing steaks for the family’s Durham Meat Company in San Jose, California learning the business from the ground up. As soon as he could, he began spending summers working at the Durham Ranch in Wyoming. He moved to the ranch full time after graduating with his degree in Agriculture from Cal Poly, San Luis Obispo in 1980. He took over the management reins of the ranch in 1985. He raised 2 beautiful daughters on the ranch, Erin and Cari and, married Gaylynn in 2009. John’s hobbies are running, flying, fly-fishing, gardening and traveling. Pat Thomson joined the Durham team in 2008 as its grazing and herd manager. He grew up in Kremmling, Colorado and has had experiences as far ranging as appraising real estate and farming and ranching. His ranching experience includes utilizing horse-drawn sleds for feeding cattle in the Big Hole Montana winters. He and his wife Liza have 3 young boys at home; Charlee, Owen and Will. Pat’s hobbies include hunting, team roping, and team-driving. 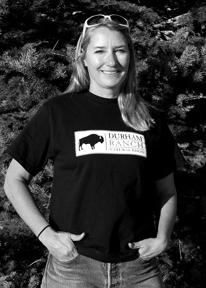 Gaylynn Flocchini joined John (in marriage) and the Durham Ranch team in 2009. She grew up in Dickinson, ND, studied pre-vet at CSU inColorado, married Mike Wagner then settled in and raised their 3 wonderful girls in Helena, MT. They got into the bison business, buying their first animals from Gaylynn’s father in 1999. 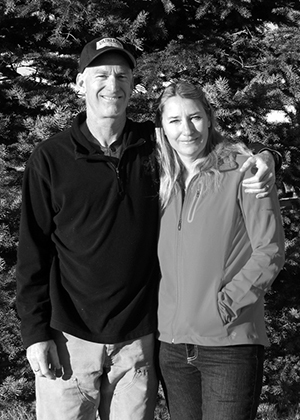 After Mike’s untimely death in 2005, Gaylynn and the girls (Michelle, Austin and Kelsey) ran Blue Skies Landand Livestock until she met John at the 2007 International Bison Conference in Rapid City. The couple formed an immediate friendship and soon began courting. They wed in Big Sky, MT in September of 2009. Most of Gaylynn’s bison cows now reside at the Durham Ranch. Gaylynn’s passions include John, family, horses, bison, going to auctions, gardening and counting her many blessings. 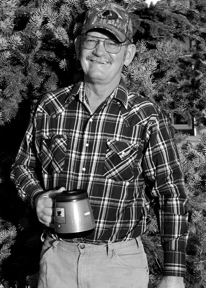 Bud Knight handles the repairs and maintenance for the Durham Ranch team and joined the ranch, right after the worst blizzard in Wyoming in 40 years, in the spring of 1984. 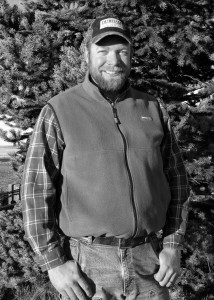 Bud grew up in Central Western South Dakota on ranches and in sales barns working with his dad, a brand inspector. He is married to Gina and together they have 4 adult sons, Brady, B.J., Dusty and Ryan and, 9 grandchildren. Bud’s hobbies are hunting and fishing, horses and traveling as well as a real passion for youth wrestling. He is the current Wyoming Cultural Director for the Wyoming U.S.A. Wrestling Program and has been able to travel several parts of the world with young wrestlers.